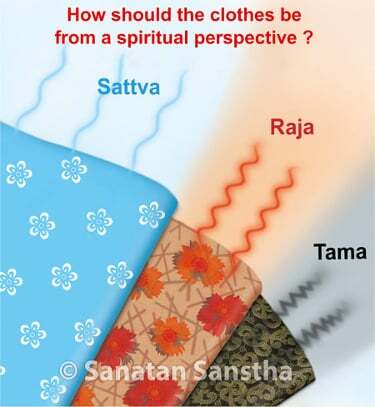 Home > Practicing Spirituality > Achardharma > Clothing > How do the clothes we wear affect us ? How do the clothes we wear affect us ? Clothes are an integral part of our lives. We wear dresses as per our liking and which we feel will help us build our personality and make us feel more confident. But we would have never thought about dressing up by considering the spiritual benefits or detriments. Wearing clothes as prescribed by Hindu Dharma not only helps us imbibe Divine Energies from the atmosphere, but also provides us protection against attacks by negative energies. Let us understand the science behind choosing the right kind of clothes through this article. Besides protecting the modesty, clothes protect the body from the cold, wind, sunshine and rain. 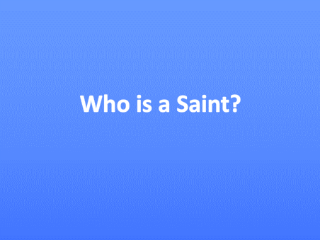 An individual selects clothes according to his temperament. People who always wear neat and ironed clothes are disciplined and conscientious. Those who wear casual clothes are frank and whimsical. Those who always wear untidy and weird clothes are lazy and careless. In short, clothes help identify the temperament and personality of an individual. Hence, it becomes necessary that an individual wear clothes complementary to a situation. For example, going for a job interview in neat and ironed clothes demonstrates the qualities of discipline and gentility. We experience a type of pleasant sensation upon wearing new clothes. On the other hand, if, for some reason, we are compelled to wear dirty and tight-fitting clothes, we are uncomfortable throughout. Many have experienced this. It only shows how clothes affect the attitude of an individual. Arthur Anderson (A company in England), carried out research on this aspect and, based on its results, brought about a change in the clothes of its employees. Following this change, the company employees started experiencing more job satisfaction and there was a vast increase in their output. Two examples are given ahead. Wearing a kurta and pyjama generates an elliptical (similar to the flame of a lamp) protective sheath around the body. This makes it easier for the individual to imbibe Chaitanya from the atmosphere and combat Raja -Tama components. Sovale is more sattvik than kurta and pyjama. Wearing it generates a subtle spherical protective sheath around the body of the individual and simplifies imbibing of both, the marak -tarak (Destroyer-Saviour) and the Sagun -Nirgun (Materialized and Non-materialized) Principles of the Deities. From the above mentioned facts, we can understand the importance of traditional Hindu clothes such as the nine-yard sari and dhoti. 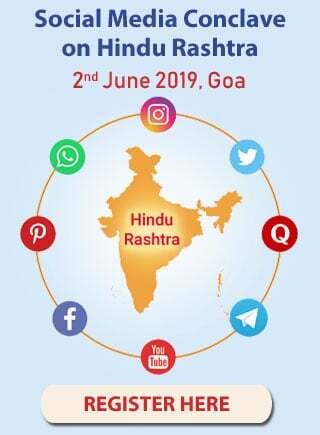 This is one supreme example that shows how Hindu culture is full of Chaitanya. The Deities sometimes arrive on the earth in subtle form on auspicious days, on the days of festivals and on the days of religious rituals. To get adorned with ornaments and clothes on these days is akin to welcoming Their arrival. It pleases the Deities because of which They bless us, and we can imbibe Their waves. 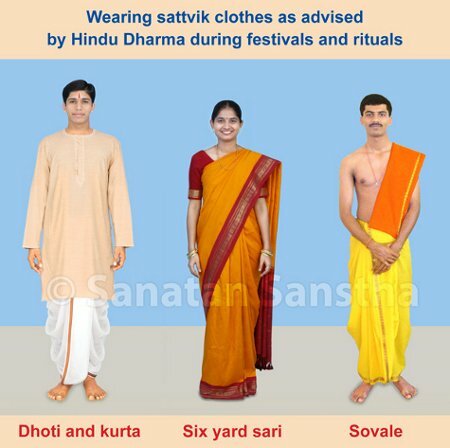 Wearing new or silk clothes on the days of festivals attracts the Principles of Deities maximally towards these clothes and makes them sattvik. The waves of Deities attracted towards the clothes are retained for a longer period, and the one who wears them throughout the year benefits all year round. 1. Do not remain impure and naked; else you may suffer from negative energy distress. Meaning : If possible, do not remain impure or naked even for a moment. 3. Wearing clothes as advised by Hindu Dharma provides protection from negative energies. Every object has good or bad vibrations, depending on its inherent characteristics. 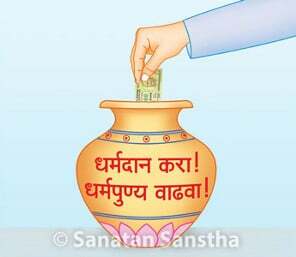 Vibrations of various objects around us, and those that we use affect us continuously; hence, it is essential that these objects are Sattva -predominant. Compared with other objects, our clothes have the closest association with us. How do clothes we wear affect us Spiritually ?